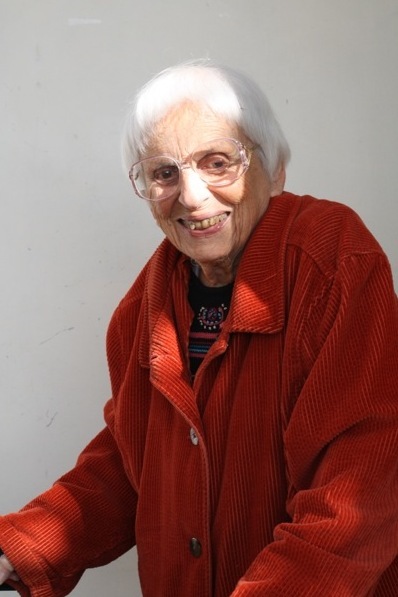 Janet Kalven, Grail member and feminist pedagogue, died April 24, 2014 at the age of 100. She was a veritable force of nature—a feminist who shaped the field of religion by providing various spaces for women to meet, learn, write, and strategize. See my WATER remembrance of her here. Her memoir, Women Breaking Boundaries: A Grail Journey, 1940-95, is must reading for a history of the Grail Movement and one woman’s remarkable century-long life of justice seeking through education, ecology, economics, and theology. Janet had a full life as a student (University of Chicago), “Great Books” teaching assistant, Grail pioneer, adult educator, and one of the founders of Grailville all long before we met. I realize that when I met Janet in 1975, she was exactly my current age, 62. That means that all I experienced of this amazing woman took place in her years beyond where I am now. This astonishes and inspires me when friends are retiring, dying, and otherwise slowing down. Was Janet an anomaly or are one’s best years, if one is so graced as to have them, really later in life? I do not know the answer to that question, but I can review some of my times with Janet to demonstrate why I ask it. In 1975, she was the director of the Seminary Quarter at Grailville (a program that lasted from 1974-1978) where I met some of my most treasured colleagues. We were young women in Loveland, Ohio (yes, the name proved providential for many of us!) for six weeks on the Grail property in a feminist program that featured self-directed learning, lectures by standouts in the field, and spiritual search. I daresay it was formative for an entire cohort of women in religion. Imagine our surprise to see Grail women driving tractors, running the entire center, baking their own whole wheat bread, making their own yogurt and granola, all the while teaching and counseling us. No wonder several of us (Marie Fortune at FaithTrust Institute, Jeanette Stokes at the Center for Women and Ministry in the South, and I at the Women’s Alliance for Theology, Ethics and Ritual, WATER) were inspired to found our own organizations. I even went back for a second summer to work in the Grailville garden, learn to cook in the kitchen, and help control algae in the pond without chemicals, i.e., have an excuse to swim every day and toss the algae out until I became tanned and muscular. The Grail women left a lasting impression of the many ways women could be. The Women’s Theological Center was surely influenced by Grail experiences. The founding co-editors of the Journal of Feminist Studies in Religion, Elisabeth Schüssler Fiorenza and Judith Plaskow, met at the landmark “Women Exploring Theology” conference in 1972 at Grailville where Judith wrote her famous “The Coming of Lilith” myth. Many women cite that meeting as the place where they came into their own as feminists. Scores of feminist colleagues in religion met at Grailville for the 1984 “Women’s Spirit Bonding” conference that lives in memory. The myriad rich and provocative presentations included Karen McCarthy Brown introducing her research on Mama Lola; Starhawk conducting feminist rituals around a cauldron; Delores Williams reading poetry; Yolanda Tarango and Ada Maria Isasi Diaz speaking of their oppression by Anglo women in a foreshadowing ofmujerista theology; Jamie Phelps and Jacquelyn Grant laying out the contours of white racism in feminist work in religion in no uncertain terms; the Arab-Israeli conflict addressed with passion on all sides. I have long forgotten my own lecture on political oppression and creative survival. But I will never forget (if I live to be 100!) how it felt to be in the midst of such ferment. It was exhilarating, frightening, pleasurable, challenging, and unbelievable all at the same time, a shaping experience after which feminist work in religion had to become more diverse and inclusive. While we tend to think of the people and accomplishments, we rarely reflect on those, like Janet, who created the spaces that were formative, supportive, nurturing of the work. Grailville the place—women’s space, lovely and functional, simple yet adequate, offering healthy food, time for prayer and recreation—meant a great deal. Janet embodied the place. She lived at Grailville for decades, commuting to the University of Dayton where she taught, but always returning to Loveland where she was rooted in the land. Janet was a prolific gardener, an expert on herbs. I recall one time helping her with an electric hedge trimmer. I cut the electric cord instead of the bush. She simply replaced it without reproach, figuring that a budding theologian probably knew more about books than tools. She was right. She would take an herb leaf in her fingers, crush it, and say, “Smell it and you’ll know what it is.” Sometimes I did. Janet grew with the times and the people. I recall her driving a group of us young, not to say wild, feminists to Antioch College for a women’s conference. On the way home, tales of our adventures including water volley ball games (did anyone wear swimsuits?) did not scandalize her. She wanted us to hear the speakers including Charlotte Bunch, and the rest was gravy. 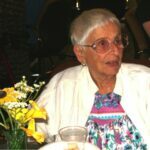 She read more widely than anyone I had ever met and was in a writer’s group for decades. It showed in her prose that was efficient and laced with humor (e.g., she wrote of some Grail women who were married but probably not using birth control that “they were going through pregnancy and birth at a rate we considered unwise for our dairy cows.” p. 222). She wrote with enviable verve. We happened to be in the Netherlands at the same time one summer when Janet arranged for Diann Neu and me to meet with Lydwine Van Kersbergen, who, with Joan Overboss, founded the Grail in United States. Lydwine had a strong, positive, if not uncomplicated impact on Janet and other early Grail members. I had heard her spoken of in reverent terms, a tall woman who in many imaginations was larger than life. Then an octogenarian who lived in Amsterdam, Lydwine invited us for a spot of tea. I figured we would be finished and dismissed in an hour. As it turned out, she liked that Diann and I were starting something –WATER– the way she had started the Grail (both in Australia and later in the U.S.) So tea turned into sherry, led into supper with wine, and ended with a late evening coffee. It was a privilege and an education to come to know Lydwine whose subsequent correspondence and affirmation proved that she enjoyed it too. Janet, Diann, and I frosted the Dutch cake with a train trek to the Kröller-Müller Museum in Gelderland, a woman’s collection of modern art in a wonderful park. Janet insisted that we see it, and how right she was to do so. It was as “fast women in a slow church,” Janet’s brilliant phrase that I only wish I had coined, that we really bonded. In the 1980s and 90s we worked tirelessly on women-church projects, developing conference programs, and attending meetings. Janet usually brought her knitting, took notes in her own unique shorthand, and could be counted on for pithy but always insightful comments. We became a tag team writing letters and statements for the group. She taught me that a good writer needs a good editor; the back and forth style that characterizes WATER’s approach to writing owes its roots to Janet. When it came time to write her memoir, Janet spent several stints at the WATER office and in my home. We talked through the contents over and over until she was pleased with her analysis and then she wrote. The results speak for themselves, a smart book. Well into her 80s, Janet was always ready to protest injustice. On one occasion, a women’s reproductive justice march in Washington D.C., she attended in a wheelchair having fallen down the steps in my house the night before. Undaunted, she simply asked the taxi driver to fold up her chair and place it in the trunk. And besides, she noted, she was able get a good spot in a huge crowd on the Mall. Attitude is all. I delight in the memories of Janet Kalven both because they bring alive her stalwart spirit and because they remind me that the best may be yet to come for me as well. I treasure a picture of Janet, taken just a few years ago right after she disembarked from a Caribbean cruise. She is with my daughter and me. My daughter was a small but helpful girl who made sure that Janet had what she needed in the hotel where we drank coffee and chatted. I felt like a bridge between them–one born in 1913, the other in 2000, and I in 1951. How lucky can you get? 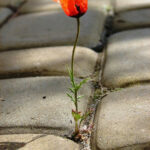 Lucky enough to have been friends with a woman committed to spirituality, equality, eco-justice, and enjoyment. Vale, Janet, we carry on.